We have a one-off bike available in 51cm at this incredible price. 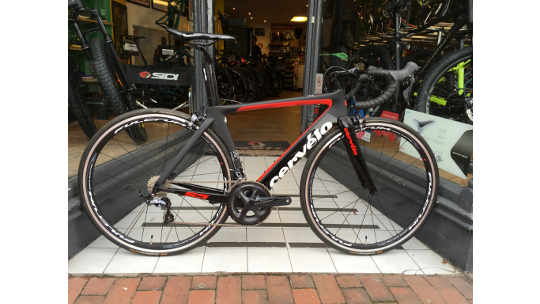 Comes with complete Ultegra groupset, Cervélo carbon aero S5 bar, Fulcrum Quattro racing wheelset. Leading aerodynamics and technology at a price usually associated with more entry-level bikes. The Cervélo S5 has continued the long line of aero road bikes from the Canadian masters of the art.